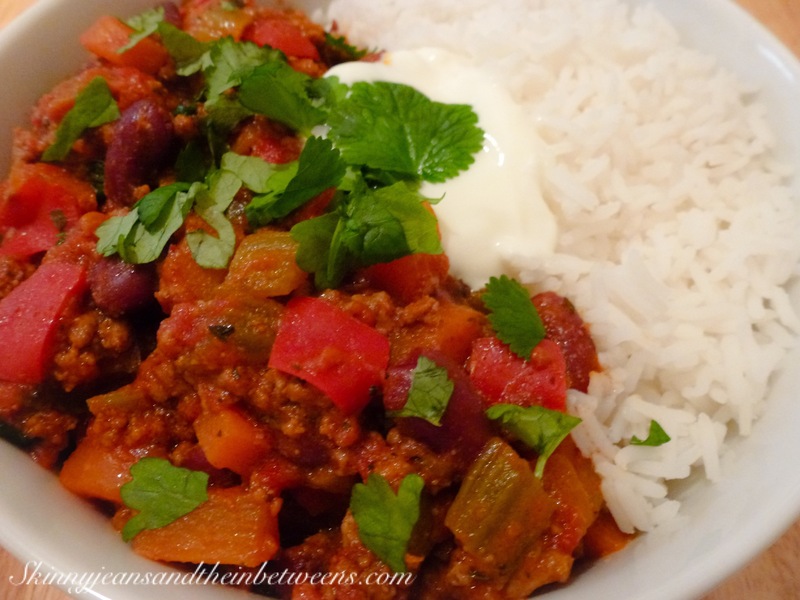 Why not start January off on the right note with this Gorgeously Glossy & Healthy Chilli Con Carne. These types of meals lend themselves tremendously well to healthy eating, it’s only when you start adding packets or jars that they soar in Smartpoints. 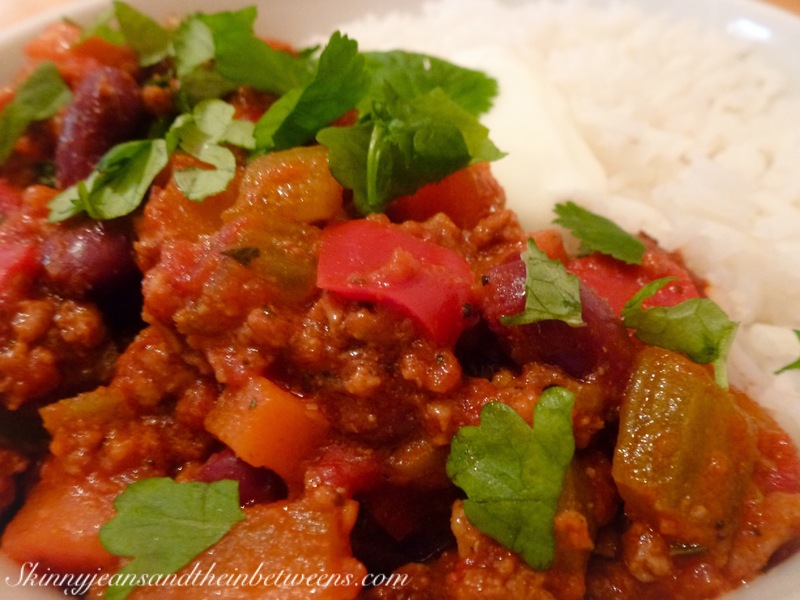 Chilli is the ultimate winter comfort food & is very versatile as you could serve it with a Jacket Potato, in a Wrap or with Homemade Tortilla Nachos either. 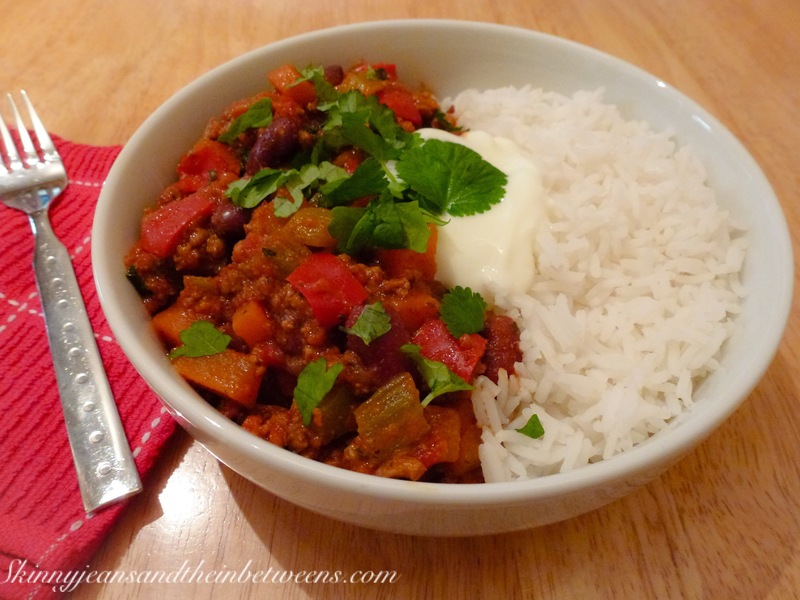 This version is just 6 Smartpoints for the Chilli & 6 Smartpoints for the Rice. If you use Wholegrain Basmati it’s entirely free on the No Count Plan. It serves 4. I hope you’re having a wonderful Saturday Night! Heat a large pot & spray with sprayoil. Lightly fry the onion, carrot, red pepper & celery until soft (about 7 to 10 minutes). Add in the mince & brown through. Add the minced garlic clove & heat through for 1 minute. Add the dried herbs & spices & srir through. Pop in the tomatoes & tomato purée & season well with salt & black pepper. Cook this down for as long as possible, 1 hour at a minimum, I cooked this for 2 & 1/2 hours, the longer it cookes the better the sauce gets, it needs at least an hour to thicken up. Prepare the rice according to packet instructions & add the kidney beans about 10 minutes before serving to heat through. Just before serving stir through the torn fresh coriander. 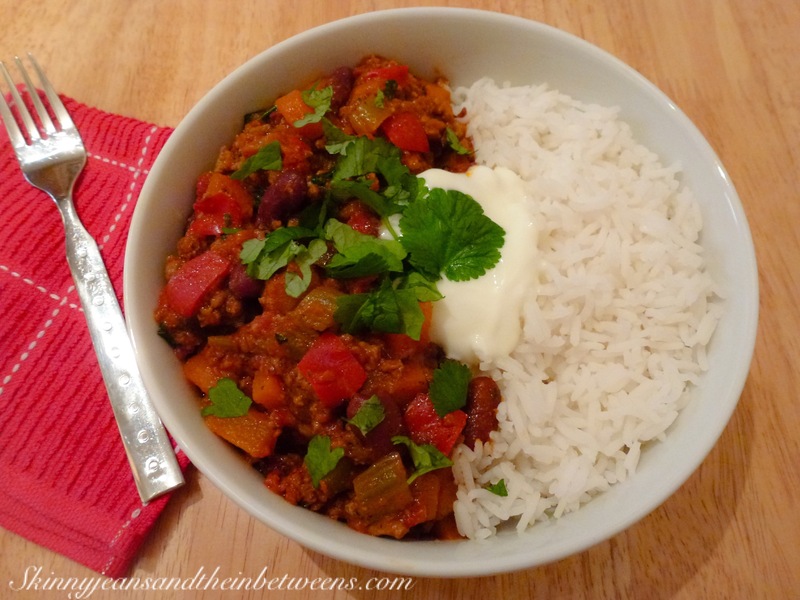 Serve with the rice & a small amount of fat free yogurt if desired & enjoy!